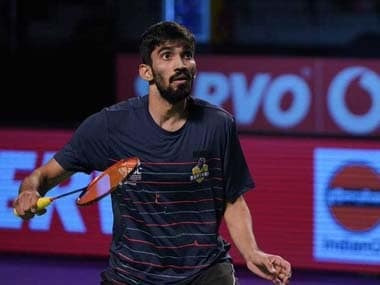 Bangkok: Singapore Open champion B Sai Praneeth entered the men's singles second round of the USD 120,000 Thailand Grand Prix Gold on Tuesday. 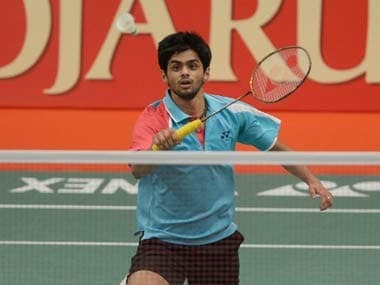 Third seed Praneeth was 21-10 18-9 ahead when his rival - Indonesia's Nathaniel Ernestan Sulistyo retired. The 24- year-old Indian will next face Malaysia's Satheishtharan R.
Among others, Pratul Joshi emerged victories after his opponent Henri Hurskainen of Sweden retired midway in the first game at 13-11, while Shreyansh Jaiswal notched up a 21- 19 11-21 21-17 win over Thailand's Adulrach Namkul. Young shuttler Kartikey Gulshan Kumar also notched up successive wins over Thailand's Chaiyasit Sukasem 21-13 21-17 and Vietnam's Thanh Long Truong 21-16 16-21 21-11, respectively, in the qualifiers to make it to the main draw. However, it was curtains for Arun Kumar Ashok Kumar, Aditya Joshi, Rahul Yadav Chittaboina, Hemanth M Gowda and Harsheel Dani after they lost their opening round matches. Returning to action after a long injury lay-off, RMV Gurusaidutt also lost in the opening round 12-21 12-21 to Panji Ahmad Maulana of Indonesia. In women's singles qualification round, Ira Sharma, Aakarshi Kashyap and Rasika Raje failed to make it to the main round after suffering defeats. The men's doubles pair of Arun George and Sanyam Shukla lost 19-21 16-21 to local pair Supak Jomkoh and Pakin Kuna- Anuvit in the qualifying round.